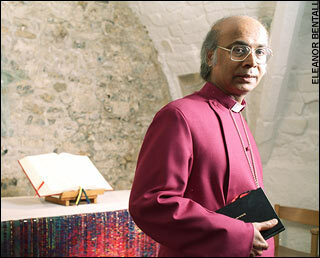 This story is everywhere on the blogosphere: Islamic extremists have created "no-go" areas across Britain where it is too dangerous for non-Muslims to enter - The Rt Rev Michael Nazir-Ali, the Bishop of Rochester and the Church's only Asian bishop, says that people of a different race or faith face physical attack if they live or work in communities dominated by a strict Muslim ideology (1). Regular readers of mine will not be surprised, rather they already have been told by me that this is what we can expect of Muslim infestations in Western countries. I should point out that these areas in the UK are not populated mostly by extremists. These are areas where mostly moderate Muslims live. There are too few extremists around to make an area into a Muslim zone. But once there are enough normal Muslims to get a critical mass, then the extremists can take over and control the rest. The poor, hard-working, decent Muslims are unable to control the terrorists in their midst and we end up with the situation described by the Bishop. This has already happened in many cities in Europe. This is why Muslims must not be allowed to come into any Western nation. Not because the majority of Muslims are dangerous - by themselves they are not - but because they give mass and numbers to extremists. If there were only 5 Muslims living in London and they were all extremists, they would be easy to monitor and thus would pose very little danger. Add a few million more Muslims and you can hide 50,000 extremists. It is interesting to note the complaint of William Hague, the shadow foreign secretary, who said the bishop had "probably put it too strongly". Let me translate that from UK-PC-Speak: "Tut-tut, the Bishop is quite correct, you see, but one shouldn't mention the truth about Muslims, they are quite sensitive about that." Also see my article Translating the Truth into European Muslim-Speak. The Muslim Council of Britain today described his comments as "frantic scaremongering", while William Hague, the shadow foreign secretary, said the bishop had "probably put it too strongly". Liberal Democrat leader Nick Clegg said the idea of no-go areas was "a gross caricature of reality". 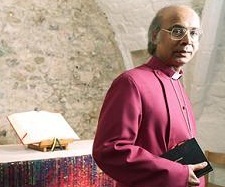 Writing in The Sunday Telegraph, Bishop Nazir-Ali compares the threat to the use of intimidation by the far-Right, and says that it is becoming increasingly difficult for Christianity to be the nation's public religion in a multifaith, multicultural society. Echoing Trevor Phillips, the chairman of the Commission for Equalities and Human Rights, who has said that the country is "sleepwalking into segregation", the bishop argues that multiculturalism has led to deep divisions.